Today I am sharing with you my favorite beauty products of the last month which were the ones I enjoyed using the most. Let's see them..
Missha Perfect Cover BB cream, as the name suggests covers perfectly without being a full coverage foundation but a mixture of makeup and scincare product. I love to use this BB cream when I am in a rush. The second favorite is MAC's Mineralize Skinfinish Natural powder which is a mineral powder with a medium coverage and a beautiful natural finish. Clinique's Dramatically Different Moistutizing gel is my all time favorite moisturiser for my combination/oily face. My favorite eye products for February were the Urban Decay Naked and Naked 2 Eyeshadow Palettes. These palettes contain such beautiful neutral colors for everyday use and especially the Naked 2 palette which has some awesome cool toned shades such as YDK, Pistol, Verve and Tease. I love it so much that I'm giving away one of this palette to one lucky winner, if you didn't already, you can enter my giveaway here. MAC Stud eyebrow pencil is my new favorite brow product . 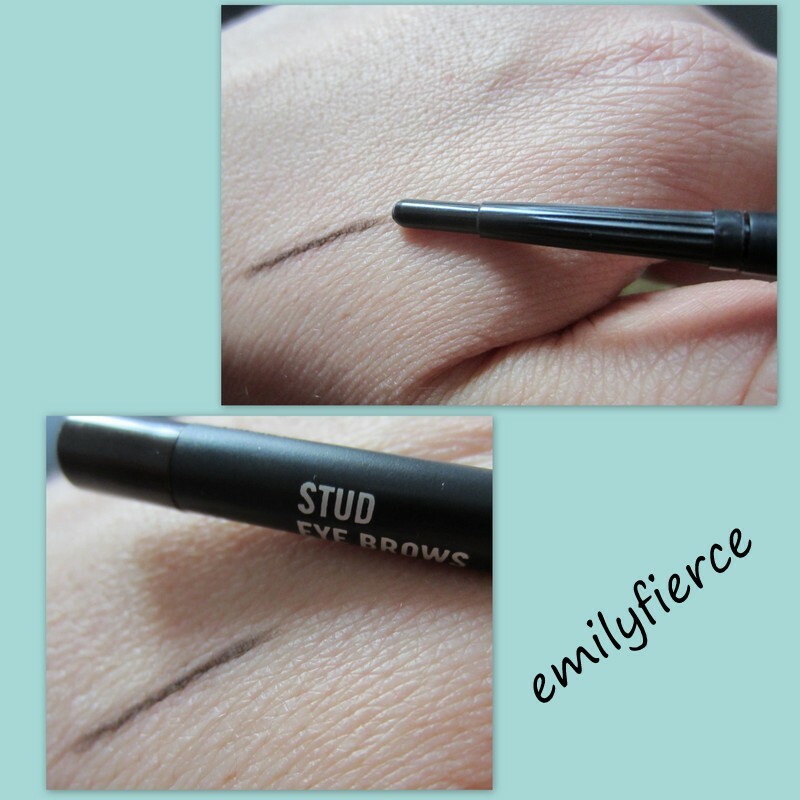 It has the perfect color for my brows and with its tiny crayon it is very easy to use. MAC Nightmoth lip pencil was my favorite lip product last month. I usually use it along with MAC Rebel or Dark Side lipsticks and together they make the perfect dark vampy lips. OPI Pink yet Lavender and Essie Lady Like were my most used nail polishes the last month. You can see a manicure using this two colors here. Ahh Moroccanoil Treatment! This I could say is the best product not only for the last month but for the entire last year. It is such an awesome hair product, makes my hair soft and sleek and smells divine. I usually use it on damp hair after I wash my hair with Moroccanoil Moisture Repair shampoo and apply the Intense Hydrating Mask which also have the same beautiful smell which smell is very similar to a men perfume, the Le Male by Jean Paul Gaultier. This has the cutest perfume bottle ever , isn't it? Juicy Couture Viva La Juicy is a fruity sweet perfume. I love it! πολύ ωραίο το blog σου..σε ακολουθώ..αν θες κανε και εσύ το ίδιο..θα χαρώ πολύ να τα λέμε και να ανταλάσσουμε απόψεις..
Man, I love Clinique stuff. One of the few skincare products I can use without breaking out.